The Great American Beverage Company was founded by David Mills in 1983 after 8 years of experience and training. which is an authorized distributor of Coca Cola Fountain Syrups. The Great American Syrup Company also distributes fountain BIB Juices, Energy Drinks, CO² Gases and other fountain supplies. The Great American Beverage Company specializes in the sales, service, leasing and installations of equipment that is used throughout the hotel, restaurant and entertainment industries. The specialize in almost every type of dispensing equipment available. Types of equipment to dispense of soda, beer, coffee, tea, lemonade, margarita, juice, liquor, wine and condiment dispensers. In addition to these we also Sell, Lease and Install Ice Machines and Bins, Water Filtration Systems, Refrigerated Cooler Boxes, Stainless Steel Sinks and other fixtures for bars and restaurants. Currently we also refurbish fountain equipment and sell to our local market customers. Soon we will be adding eCommerce on our website and selling components, equipment, and equipment packages with shipping in the near future. The Great American Beverage Company is primarily a major contract service and installation agent for many national restaurant chains, Amusement parks, manufacturers, designers and suppliers or restaurant equipment. 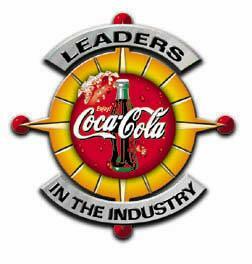 We are one of the largest independent installation and service providers for Coca Cola Food Service. We are primarily service the Central and Southern California area and frequently are requested to travel as needed all across the United States and beyond. We are committed to providing services that demonstrate superior workmanship and a dedication to technical excellence. We believe that instituting processes, procedures and training enable us to continuously improve the services we supply and is crucial to sustaining a reputation for delivering exceptional quality to all of our customers. Here at the Great American Beverage Company we believe that a significant component of customer satisfaction lies in our ability to rapidly respond to urgent requests and immediate needs. Therefore, we are committed to anticipating customer requirements and positioning resources to meet those needs. We also believe that our success is firmly tied to the success of our customers. As such, we strive to provide the additional services that help our customers excel in their own businesses. We work hard and as a team together to meet our customers needs and give every effort to delivery whatever request they might have at any time, (day or night). We communicate, assist and work together with anyone (even with our competition) to complete as our customer requests. The core of our business success has always been due to the talented and capable people who choose to work at The Great American Beverage Company. We are committed to growing our business and we believe that continuing with a diverse customer base and increasing the services we provide that will increase our opportunities for innovation, value, and growth. We also believe that a diverse workforce expands our knowledge base, skills, and understanding and allows us to be more responsive to the needs of our customers. As a corporation and as individuals, we are committed to maintaining high ethical standards in every aspect of our business. We are dedicated to treating our customers, vendors, financial partners and fellow employees in a manner that reflects both honesty and fairness. We are dedicated to honoring the commitments we make to others and to employing and sharing ethics in our daily operation. Thank you for taking a quick view of who we are at “The Great American Beverage Company”and we invite you contact us if there is anyway we could earn your business.